If you run a small business, especially if you do so totally alone, it can be all too easy to convince yourself you can’t take a holiday. You may worry about letting customers down, losing customers to the competition and how much income you will lose. But these problems can be mitigated with a little forward planning, and the benefits of taking a break can be huge – for you and your business. Quality time may be an over-used buzz phrase now, but we all instinctively recognise quality time when it occurs. Running your own business can eat up your time and your attention. If you’re often responding to work communications or doing business admin outside of business hours, it might have been some time since you sat down and had a proper conversation with your nearest and dearest. A holiday removes the distractions of everyday life, not just for you but also for the family and/or friends you’re holidaying with. It gives you a golden opportunity to reconnect, relax, laugh and talk with the people closest to you. Your mental and emotional health. Owning your own business can be stressful and lonely, particularly if you’re going it alone. You’re probably all too aware that you’re responsible for everything involved in keeping the business running, keeping customers satisfied and making enough money to pay the bills. All that multi-taking and responsibility can take its toll. A holiday gives you the chance to lay that burden aside for a while and focus on just one or two things – such as whether to have a starter, pudding or both! Relaxing and reconnecting with your partner or family is great for your emotional and mental health. The connection between mental health and physical health is well-established, but holidays can bring other more direct benefits for your physical health too, such as topping up your Vitamin D levels with a little sunbathing. Ensure you don’t burn, though, and remember the NHS motto: no tan is a safe tan. A tan is a sign your body is trying to defend itself from UV radiation. Holidays can also give you time to catch extra sleep and fit in some exercise, which are both vital for a healthy immune system. You might get the chance to try a new activity and be inspired to keep it up once you return home. Some literal and metaphysical distance from your business and everyday life can help you get some perspective and reveal new insights. Ironically, although many small business owners struggle to take a break, a 2015 survey by global franchise trainers Sandler Training found that one on five entrepreneurs conceived their business idea while on holiday, proving that holidays can give you the space you need to grow new ideas. Hopefully, you’ll return full of energy new ideas and enthusiasm. Now you know that a holiday can be good for your business, as well as you, there’s no excuse not to take one – and no reason to feel guilty for doing so. Grab a brochure or hop online and book yourself a break today! 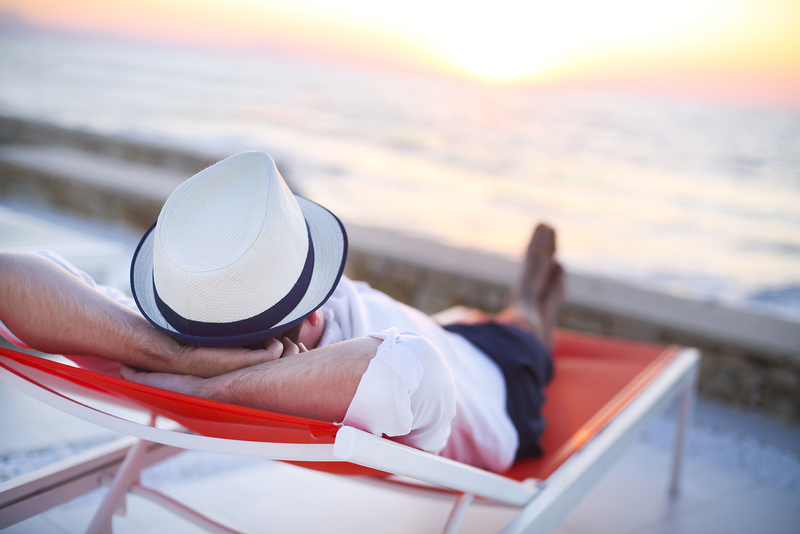 Are you hesitant to take a break or do you believe holidays are beneficial for your business? Please let us know your thoughts.